Trapezoid dress is a timeless fit which will suit nicely just about every body shape. This truly feminine silhouette was designed back in the 1960s and since then it has been repeatedly present in designer collections. Tight-fitted top and gentle flare to the hem to make a trapezoid style. CARTEL is a classic shape with no cut-out waist so it does not draw attention to this section of your body. This design features a sophisticated feeling and superb craftsmanship without sacrificing versatility and functionality. 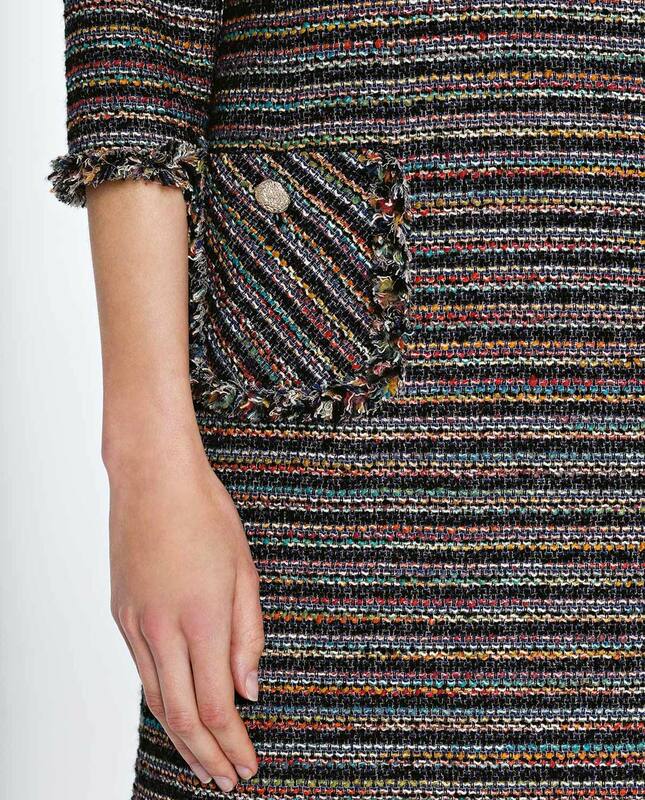 The dress in high quality ecological wool with flexible fibres making the garment crease-resistant. Fancy raw edges at the hem and around the neck offer a sense of natural, relaxed and nonchalant character. Very sturdy acetate lining is well-absorbing and breathable which provides for maximum comfort. What to match it with? Trapezoid cut is a very fortunate pick for a family gathering as well as for an autumnal day in office. Smart midi length allows for nice panoply of accessories, and CARTEL dress is irreplaceable when cooler days set in – just grab a pair of thick tights, ankle boots and a vintage leather bag.